Martha Elizabeth Rogers was born in Dallax Texas on May 12, 1914, the oldest of four children in a family which strongly valued education. The family moved to Knoxville, TN where she attended the University of Tennessee in l93l taking undergraduate science courses for 2 years. But then she entered nursing school at Knoxville General Hospital, received her nursing diploma in 1936. She completed a BSN in Public Health Nursing from George Peabody College (Nashville) in l937. She worked as a public health nurse, first in Michigan, then in Connecticut. In l945 she earned her master's degree in public health nursing supervision from Teacher's College Columbia University. She was director of the Visiting Nurses Association in Phoenix, AZ. She returned East in 1951 earning a M.P.H. from the Johns Hopkins University while teaching at Catholic University. She continued on at Johns Hopkins and completed a Sc.D in 1954. She then began her long tenure with the Division of Nursing Education at New York University. Her strong background in sciences guided NYU to develop the nursing program as a distinct body of scientific knowledge. She first published her model of human interaction and the nursing process in 1970 when she published An Introduction to the Theoretical Basis of Nursing. This view presented a drastic but attractive way of viewing human interaction and the nursing process. Further information on her theory can be found in publications and on the Internet. 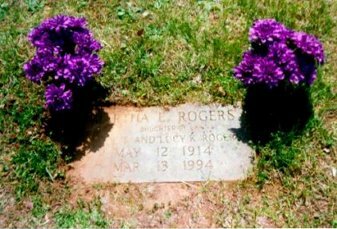 Dr. Rogers was professionally active in a number of organizations and remained active until the time of her death on March 13, 1994. Buchinger, K.L. (1992). Martha E. Rogers In: American nursing: A biographical dictionary, Vol II. V.L. Bullough, V.L., O.M. Church, & A.P. Stein, (Eds.). New York: Garland. Hektor, L.M. (1989). Martha E. Rogers: A Life History. Nursing Science Quarterly 2; 2, 63-73. Malinski, V.M., and Barrett, E.A.M. (1994). 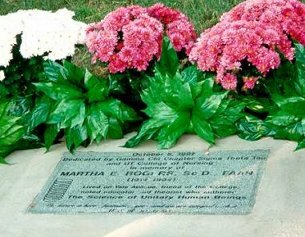 Martha E. Rogers: Her Life and Work. Philadelphia: F.A. Davis. Safier, G. (1977). Contemporary American leaders in nursing: An oral history. New York: McGraw Hill.